Without first developing inner peace, world peace will remain impossible to achieve. We all have within us the potential for peace and happiness, and cultivating this potential creates the harmony we seek. Each class includes a relaxing breathing meditation, a teaching, a contemplative meditation, and a closing dedication. Attendance at Meditations for World Peace is by donation, and the class is family friendly! All ages are welcome; Dharma for Kids is held at the same time as the adult class. 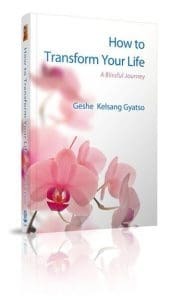 This class is currently studying How to Transform Your Life, Geshe Kelsang Gyatso’s practical manual for daily life that shows how we can develop and maintain inner peace, how we can reduce and stop our experience of problems, and how we can bring about positive changes in our lives that will enable us to experience deep and lasting happiness. During adult class, kids aged 4-10 can attend a special class just for them. In these classes, kids learn basic Buddhist teachings like the importance of loving everyone, being generous, what to do when we get angry, and how to calm down. Each class includes a prayer, short teaching, short meditation and a craft project that explores the spiritual theme of the teaching. Classes are taught by experienced and dedicated Dharma students. 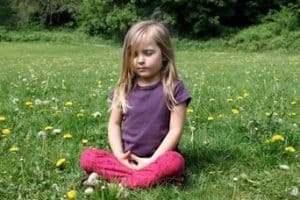 Kids need to be accompanied by an adult who is attending Meditations for World Peace. Children under the age of four may attend the class if a parent or guardian stays and assists them in participating in the class.